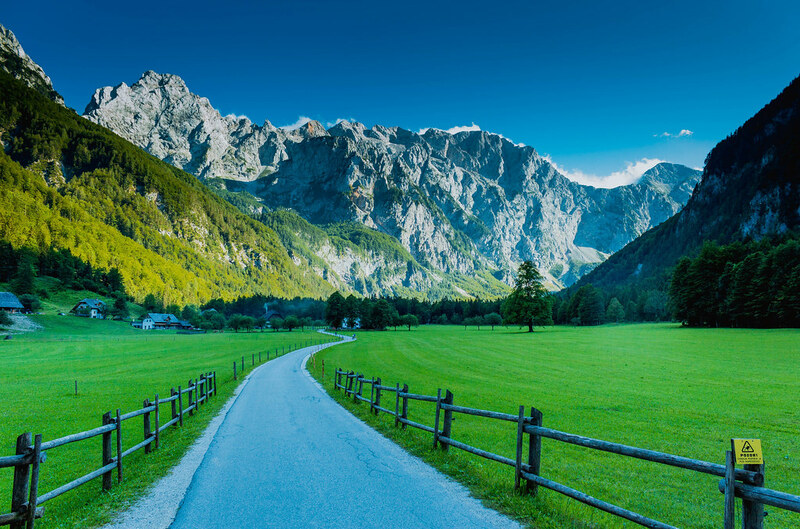 Slovenia may be one of the smallest countries in the Balkans but it is teeming with thousands of kilometres of hiking routes – with trails ranging from super easy ambles to hectic via ferrata, and everything in between. Thanks to its diversity it’s possible to go hiking in Slovenia all year round. The high-elevation ranges such as the Julian Alps, the Kamnik-Savinja Alps, and the Karavanke Alps feature captivating views of the pyramid-shaped peaks and the serrated line of the Alps’ ridges, whilst in the Julian Alps, you can conquer Slovenia’s highest mountain – the imposing Mount Triglav (2864m). 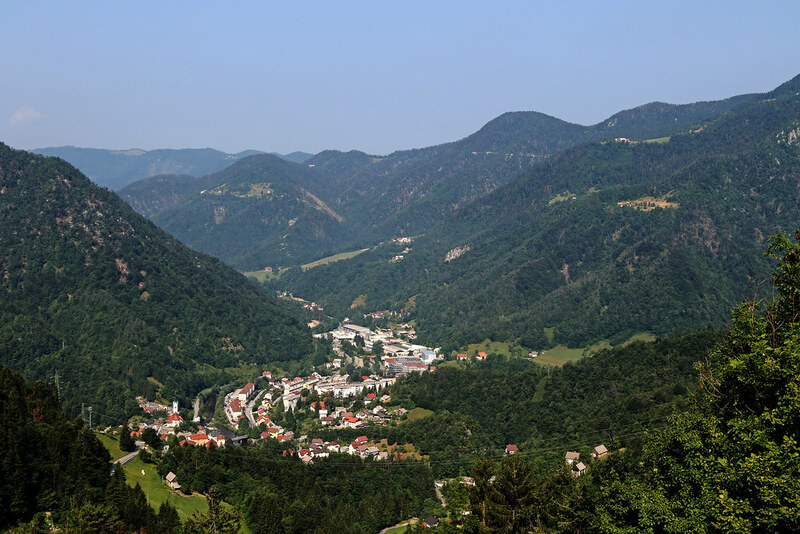 But there are countless other mid-elevation areas too – Idrija and the Cerkno, Škofja Loka, and Pohorje Massif are perfect for both day and multi-day trekking. 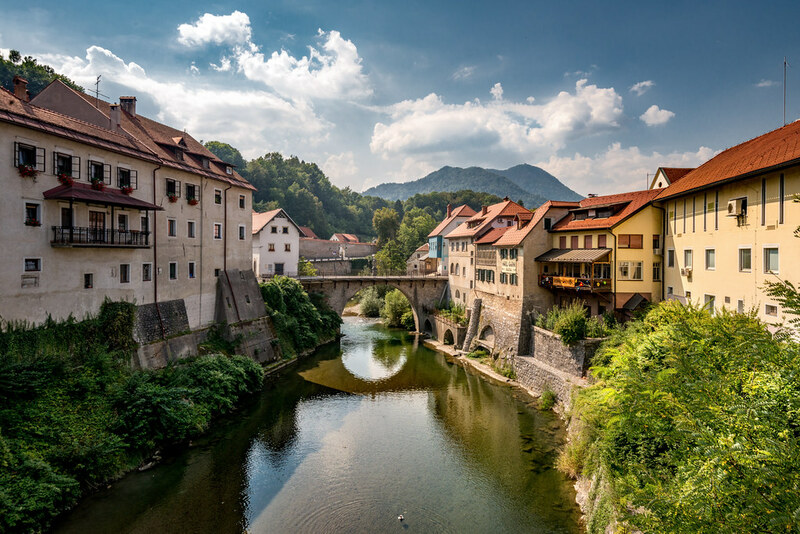 Here’s our pick of the 7 best regions to go hiking in Slovenia. Located in the south-eastern part of the Alpine arc – at the border between Slovenia and Austria, the Julian Alps are the largest and highest in Slovenia. The range features deep gorges, jaw-dropping peaks, and mountain pastures dotted with wooden huts. 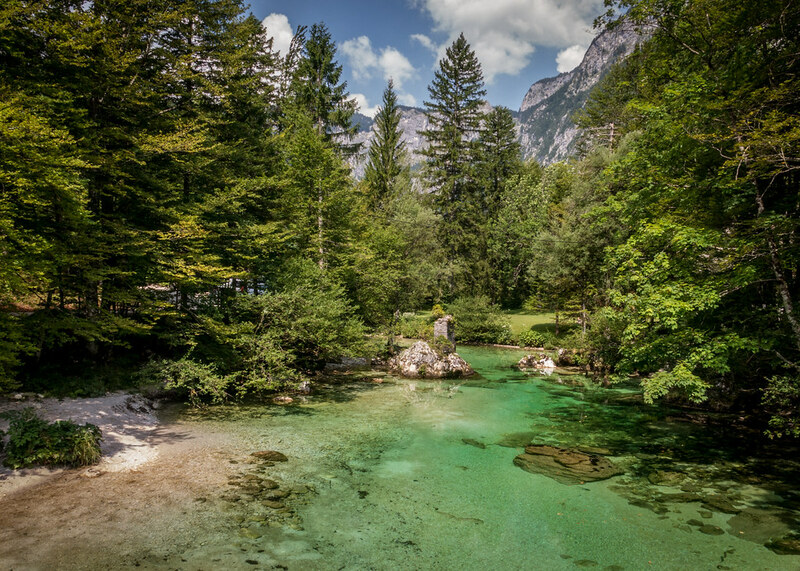 The Triglav National Park spans the eastern part of the massif and is one of the oldest ones in Europe. Standing in the middle of the Julian Alps, Mount Triglav (2864m) is the highest in the country and a national symbol that even appears on the national flag. Undoubtedly, the most popular routes lead to Triglav’s summit, but be warned, climbing Mount Triglav is both technical and physically demanding. The trail via the Krma Valley is considered the easiest route because it has no real technical challenges or steep climbs until you reach the Krederica Hut (2515m). However, from there you will have to face a 400-metre via ferrata equipped with steel cables and ladders and a narrow ridge to the summit. If you are determined to try a more difficult ascent, the challenging Čez Prag route crosses the Triglav North Face on its left side with a short but tricksy via ferrata section in the middle (a 15-metre vertical climb on footholds and fixed ropes). The Idrija and Cerkno Hills are located in the western part of the country, south of the high mountain ranges. It is a mid-elevation mountain area, with maximum altitudes of 1000 metres on average. Although most of the land is covered with forest, the region also has rugged, steep faces and peaks affording astonishing views of both the Alps and the Adriatic Sea. Valleys and narrow gorges snake among gentle hills and ridges creating a typical karst landscape (limestone that has been dissolved by centuries of rain creating underground caves and sinkholes). The Idrija and Cerkno Hills have lots of marked trails suitable for gentle hiking, among which the Idrija-Cerkno mountain trail is the most hiked one. The starting point is in the former mining town of Idrija. 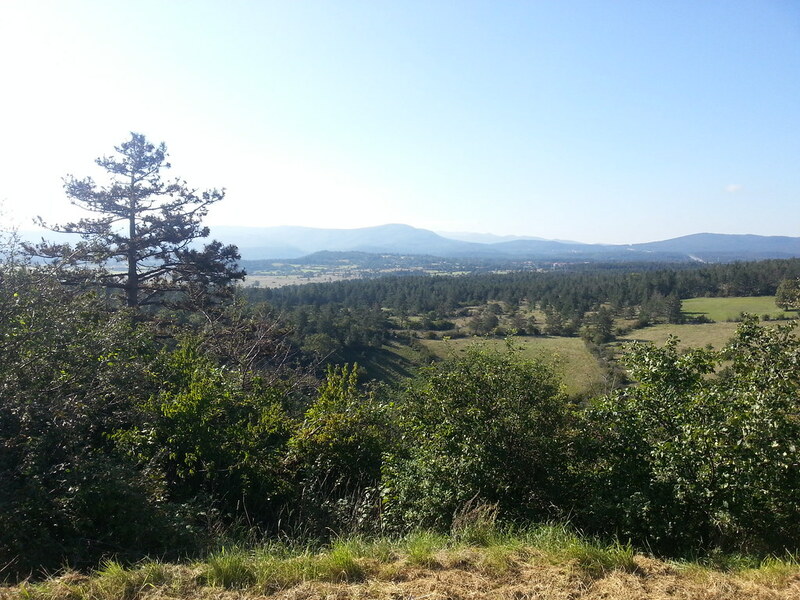 The trail lasts seven to eight days and equates to 130km in total. The terrain is varied, from precipitous slopes and vantage points to historic monuments, important for the cultural and ethnographic heritage of the region. War memorials, local museums, and archaeological sites, as well as scenic ravines and peaceful lakes, are some of the key sights along the way. The spectacular Škofja Loka Hills sit in the north-west of the country, only 23 km from the capital Ljubljana. Covered with colourful blooming meadows and unspoilt forests, the region is interspersed with mountain villages and panoramic hilltops. Farms and mountain huts are active in the area and you can taste home-cooked dishes and even sample home-brewed beer (careful, it’s strong!) along many of the treks. On the outskirts of Škofja Loka town, two themed trails run along the Rupnic Lines – a system of forts built on the former border between the Kingdom of Yugoslavia and the Italian one. A 10 km moderate trail climbs 1200 metres from the village of Hotvalje to the top of Blegoš (1562m). The hike lasts six to seven hours and you can stop at several mountain huts en route. Another similar 12 km trail leaves from the village of Zali Log and steeply climbs 1145 metres to a vantage point on top of Ratitovec (1666m in height). From there, you will have expansive views open to the villages below, some of the highest ones in the country. A wealth of unspoilt nature and cultural heritage, the mountain chain of Kamnik-Savinja features green valleys, grey rock faces, and high 2000-metre peaks. Mountain pastures with simple wooden huts testify the tradition of animal pasturing in the Alps and offer authentic experiences to those who want to taste the local specialities. Easily accessible by a cable car and a chair lift from Kamniska Bistrica, the famed Velika Planina stands as a proof of the largest and oldest herdsmen settlement of its kind in Europe. The Logarska Dolina is one of the most hiked and beautiful valleys in the Kamnik-Savinja Alps. It is the starting point of numerous trails, among which is the captivating yet demanding circuit climbs to Plajava Peak (2392m) – the highest mountain in the region. The marked route runs along the Logarska Valley, passes the Rimska Waterfall, then starts a challenging ascent to the top. The last part is the most difficult section of the trail, a sort of via ferrata equipped with spikes and wire ropes. However, from the top, you will have panoramic views of the Kamniska Bistrica, Ljubljana Basin, and Logarska Valley. The hike lasts 10 to 12 hours (1600 metres of ascent in total) and is completed in a two-day tour, with an overnight stay at one of the mountain huts along the way (Okreslje or Klamenca Jama). The Karavanke Alps or the Karavanks are a mountain range that spans the territory of three neighbouring countries – Austria, Italy, and Slovenia. An 8 km tunnel (both railway and motorway) passes through the range from Rosenbach (Austria) to Jesenice (Slovenia). Belonging to the southern limestone chain of the European Alps, the Karavanks stretch approximately 120 km and has some impressive peaks – grassy on the southern side and rocky on the northern slopes. The massif affords expansive panoramas of both the Julian and the Kamnik Alps, while the views are more open toward the High Alps in Austria. 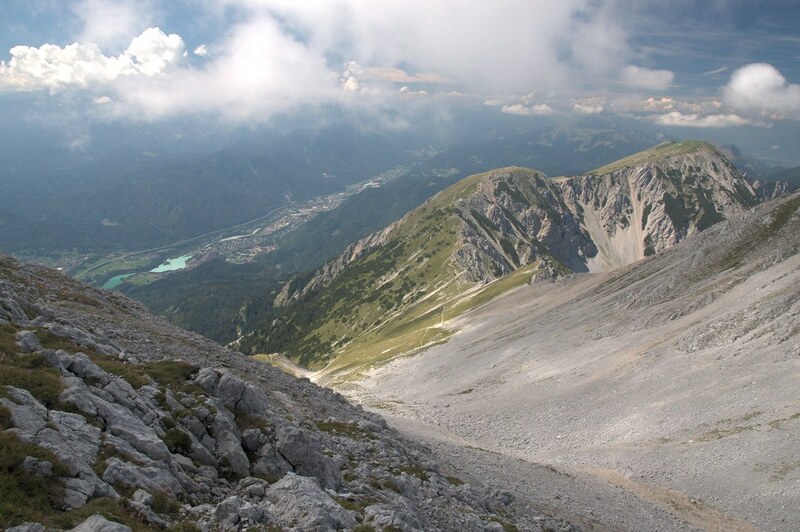 Stol (2236m) is the highest peak of the Karavanks and features a typical alpine scenery. A round tour atop Mount Stol can be done from the Valvasorjeva Koča Hut (1181), accessible by road. An easy and comfortable hike-up (3h) crosses the Žirovniška Planina meadow, then steeply ascends into the forest. Once you reach the Presernova Koča Hut (2174m), it takes just 15 minutes to get to the top of Mount Stol. The descending route follows a longer but less steep trail, which passes the Finžgarjeve Skale Rocks and then returns to the Valvasorjeva Hut over the Zabreška alpine meadow (3½h). The Pohorje Massif is a medium-high mountain range that rises above the city of Maribor, in the eastern part of Slovenia. It is the only massif in the country made of silicate rock and in winter features one of the largest ski resorts in the country. In summer, it is bursting with vine-rolling hills, lush green forests, peat bogs, and lakes. A cable-car whisks visitors to the Hočko Pohorje mountain resort while an asphalt back-road winds its way up to Pohorje among rural settlements and vast pastures. 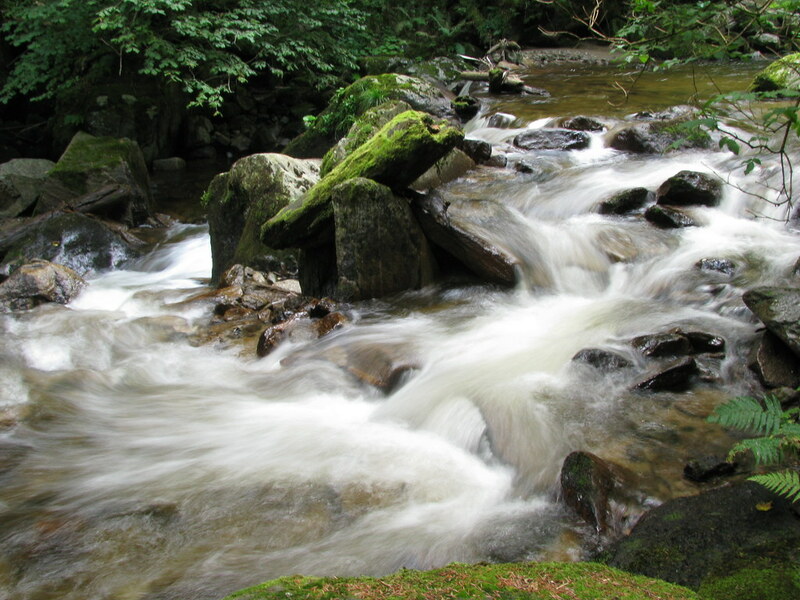 The Pohorje Trail is a 24 km challenging route that takes hikers through pine forests, rivulets (small streams), and to Veliki Šumik – the largest waterfall in the region at 24 metres. The trail lasts eight to nine hours, starts from the centre of Pohorje (at Bolfenk Centre), and finishes at the end of the Lobnica Valley, in Ruše village. Its most difficult part lies between the two cascades Veliki Šumik and Mali Šumik – a section only passed via steel ropes (better to avoid this part in rainy weather). You will pass several mountain huts en route (Ruska Koča and Mariborska Koča), where you can stop for a rest and scoff a quick bite. The Slovenian province of the Istria Peninsula lies in the south-western part of the country, in the Golf of Trieste. A 46-km long coastline features a scenic landscape, with isolated rock-cliffs and wild coves, while the mainland is more hilly and includes the famed Karst region. Fishermen settlements are very active along the shore as well as the tradition of ancient salt pans. On the flip side, the karst region hides a wide network of caves, with deep dolinas (Slavic term for valley) and swirling underground canyons, rivers, and waterfalls – such as the UNESCO-famous Skocjan Cave. Several marked trails go past Istrian villages lining the karst border. An easy 21-km hike goes along the high ridge of the panoramic karst edge. It starts in Hrastovlje village and soon crosses the rocky step (550m in height) that marks the crossover between the coastal region and the karst plateau. Eventually, the route reaches the villages Socerb and Črni Kal – where you will discover the longest and highest viaduct in the country. If you fancy sampling some of these varies and massively beautiful trails, check out our hiking in Slovenia trips and other Slovenian adventures.